Arrow shows a coronary artery captured in slow-flow. Credit: Mehta HH, Morris M, Fischman DL, Finley JJ, Ruggiero N, Walinsky P, McCarey M, Savage MP. 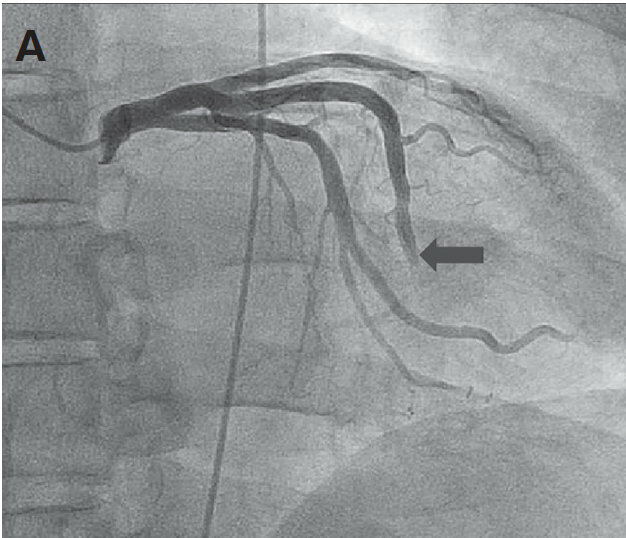 The Spontaneous Coronary Slow-Flow Phenomenon: Reversal by Intracoronary Nicardipine. J INVASIVE CARDIOL. 2018 December 15 (Epub Ahead of Print). Used with permission from HMPGlobal.